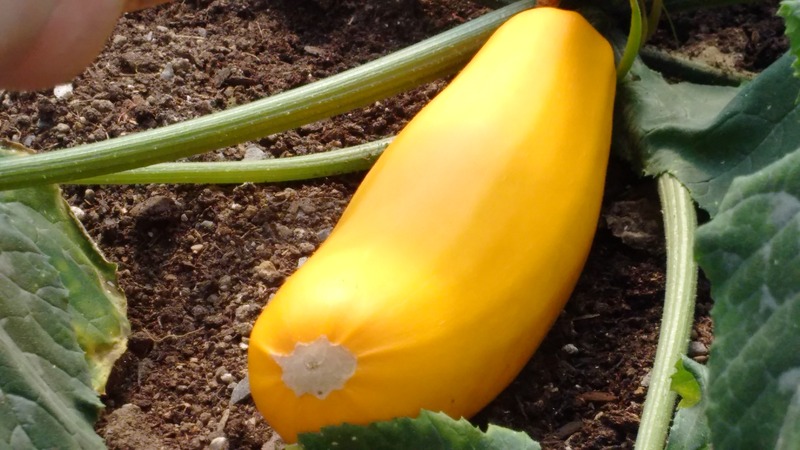 Summer Squash & Other Healthy Foods Growing in Roddickton! Roddickton-Bide Arm is a region of the Great Northern Peninsula where hay is baled, and sheep would go to pasture. There is a tremendous opportunity to grow more agricultural products and ranch animals. There are a number of individuals that are hobbyists farmers, planting root crops for subsistence, while others are growing on much larger scale. I enjoy purchasing fresh herbs, spices, teas and other organically grown items from Elsie and taking a walk on her trail of memories (See past article at: https://liveruralnl.com/2014/09/21/fresh-vegetables-herbs-teas-creams-and-a-blast-for-the-past/). I was impressed by the range of product from cauliflower, zucchini, green onion, tomato, squash, greens, carrots, flowers and many more root crops and berries. The friendly and knowledgeable staff are more than helpful, taking the care to find exactly what you are looking for to eat a little healthier. The cauliflower was so sweet,likely the best I’ve ever tasted. Buying local creates jobs, builds a stronger economy. Sourcing your food locally helps with food security, reduces reliance on green house gases and gives you an understand of where your food came from, how it was grown and handled. Basically you can trace it from the source to your plate. I encourage you to visit local farms, farmer’s markets, greenhouses, community gardens, grow your own and/or share with a friend or neighbour. We have incredible opportunity to grow good nutritious foods on the Great Northern Peninsula. We’ve been doing the basics for centuries. Posted on July 22, 2015, in Business, Community Economic Development and tagged agriculture, farm, Food, gardening, great northern pen, Newfoundland & Labrador, organic, Roddickton, vegetables. Bookmark the permalink. Leave a comment.